Adam Jones got cheered loudly again, Justin Verlander nodded in acknowledgement, and then he took a daddy hack at a slider. This weekend is great. 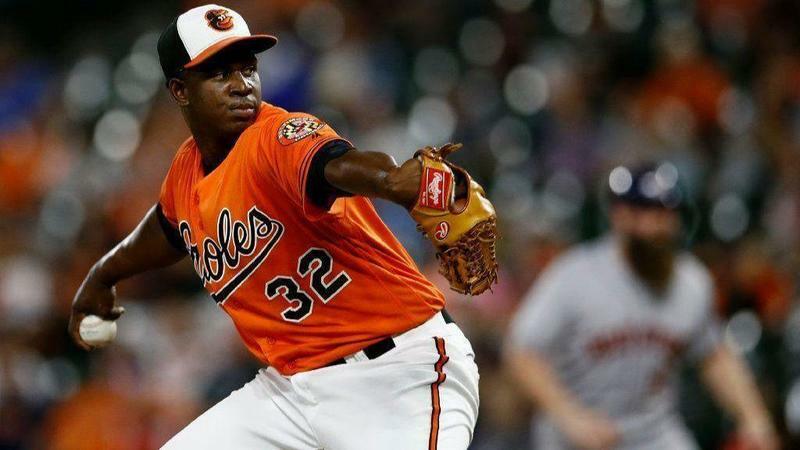 Jones on future with #Orioles : "Well, who holds the cards? I think now we kind of both do. But I’m not the one making business decisions on their regards. All I can do is make business decisions on my behalf now." Justin Verlander has seven strikeouts on 41 pitches in three perfect innings against the Orioles. 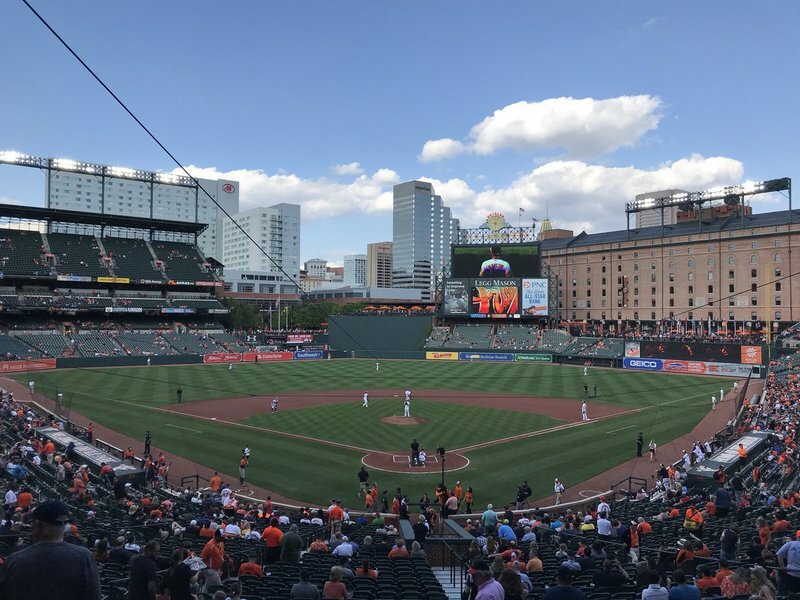 Trey Mancini is making the kind of quick-twitch, reactionary plays at first base today that the Orioles haven't had there in several years. Adam Jones doubles to the LCF wall for the Orioles' first hit of the day, with two down in the fourth off Justin Verlander. 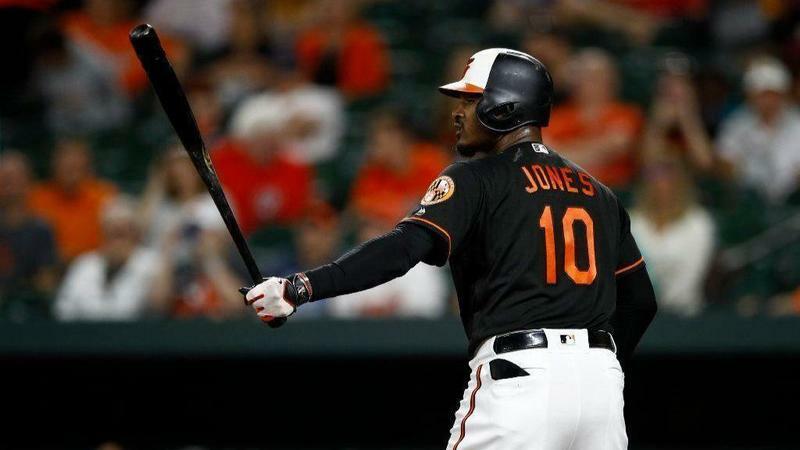 Adam Jones with a two-out double in the fourth for the #Orioles first hit. Dylan Bundy is through five shutout innings with six strikeouts on 68 pitches. Three hits, no walks. Orioles and Astros scoreless in the 5th. 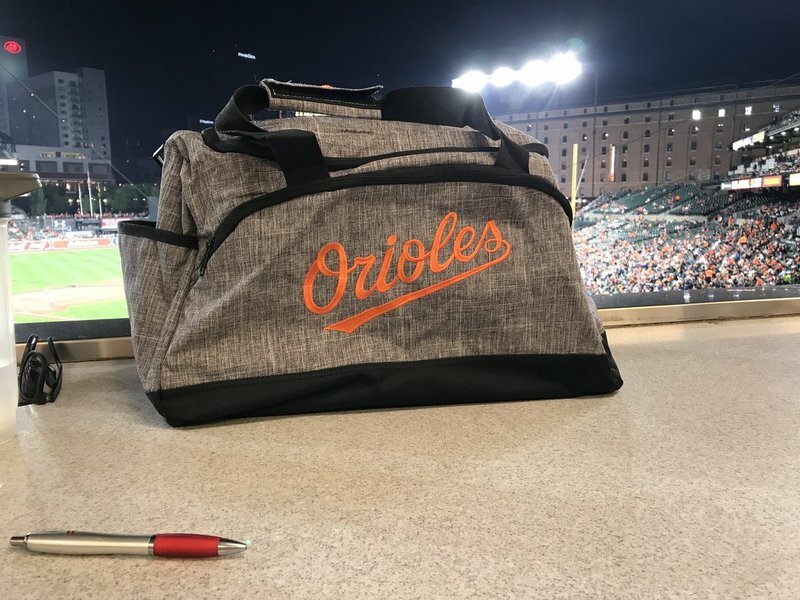 Renato Núñez rolled over a Justin Verlander curveball but got an infield single out of it, the Orioles' second hit of the game. Springer with a two-run homer off Bundy. #Orioles down 2-0 in the 6th. George Springer hit a 3-2 fastball at the top of the zone way out to left field. The Orioles trail 2-0. Carlos Correa hit a solo home run on the next pitch, the 41st off Dylan Bundy this season. The Orioles trail 3-0. Conferred with Dylan Bundy this week, and he thought we should count the washed-out start against Boston as a start made, meaning he has made 32 this season, but not the three home runs he allowed in said start, which would make 44. Counting neither probably fairest. Dylan Bundy is at 99 pitches after his three-run, 31-pitch sixth inning. Cody Carroll was up, but I'd give Bundy the first batter of the seventh so he can get recognized for posting up this year. Orioles trail 3-0. 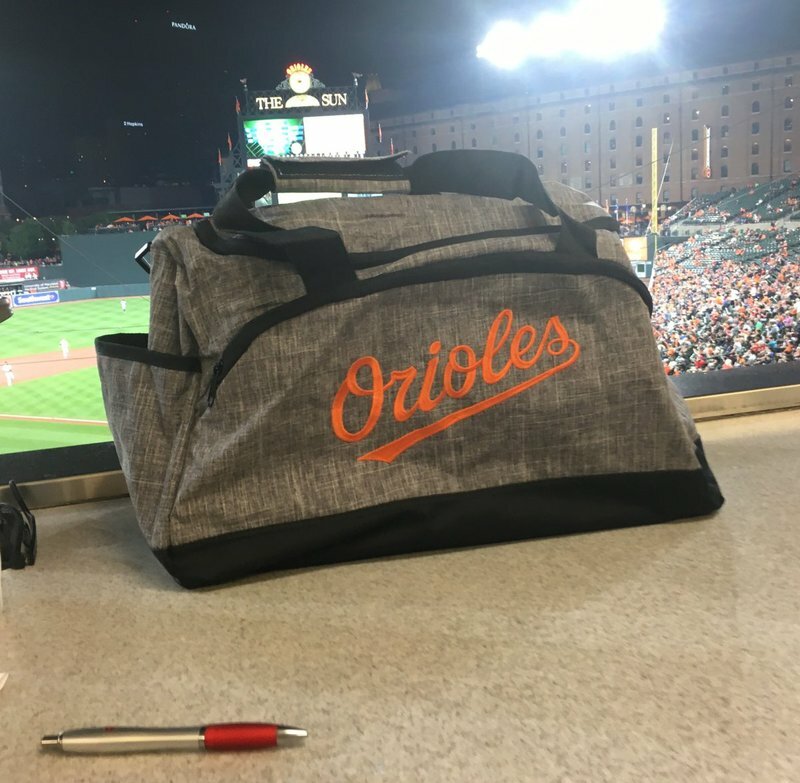 Caleb Joseph fouled off nine pitches in a 15-pitch at-bat against Justin Verlander, including six with two strikes and four straight with the count full, then singled off the glove of a diving J.D. Davis at third base. That was a serious at-bat for the Orioles third hit. Carlos Correa decided to go tag Caleb Joseph in the basepath on a possible double play ball, and because Joseph slid or something, Cedric Mullins was ruled out at first two. Not sure what he's supposed to do. DJ Stewart with a three-run homer off Verlander to tie the game 3-3 in the 7th. #Orioles #Astros . DJ Stewart with a three-run homer off Joe Smith to tie the game 3-3 in the 7th. #Orioles #Astros . George Springer walked and scored from first base on a double into the right-center field gap by Carlos Correa. The Orioles trail 4-3. Correa double off Gilmartin into RCF gap scores Springer and the #Orioles trail #Astros 4-3 in the 9th. 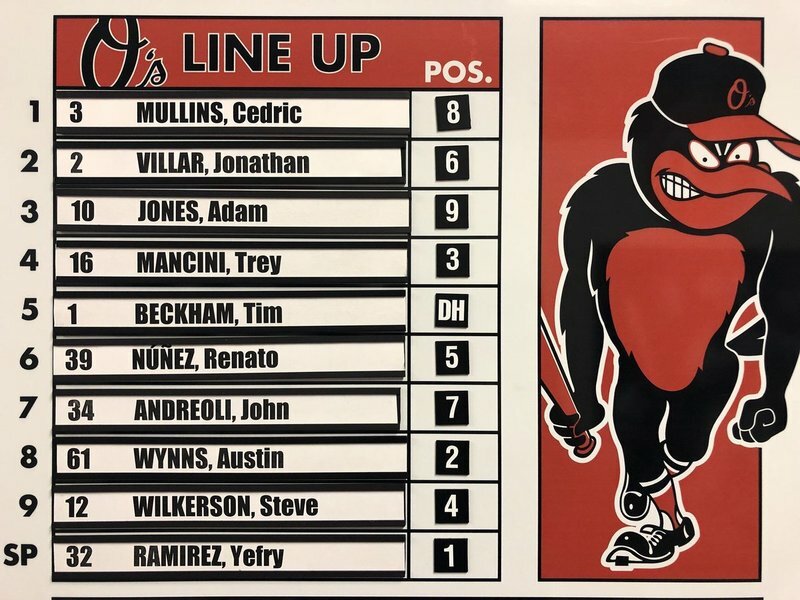 Trey Mancini and Tim Beckham have each singled to open the ninth inning for the Orioles. #Orioles drop 4-3 decision to #Astros in first game of doubleheader. Myles Straw, Houston's No. 2 hitter today, hit his first career home run two batters into the game off Yefry Ramírez. The Orioles trail 1-0. Two batters in, Ramirez allows a solo homer to Straw. Mullins jumped at the CF wall, but couldn't get it. Straw's first MLB homer. 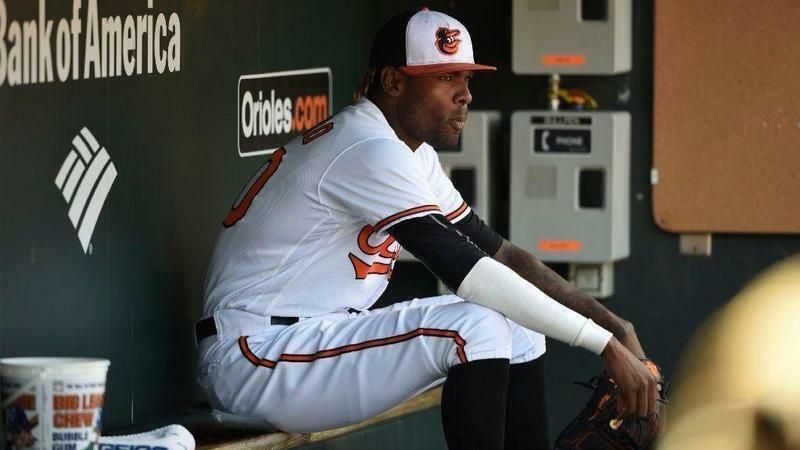 #Orioles down 1-0. Adam Jones made a diving catch in right field to end the first inning. Austin Wynns had an RBI single, and the Orioles and Astros are tied. Mustard marches on. Ties Ketchup for the hot dog race lead. 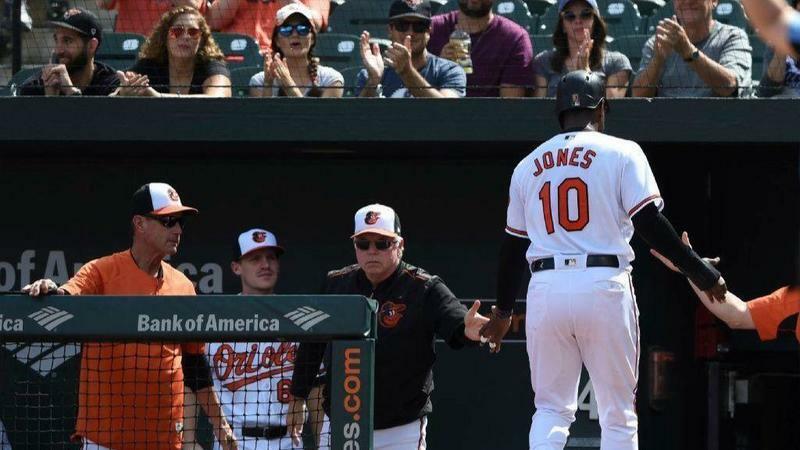 The Orioles dusted off the Adam Jones Gave A Fan A Haircut video today. The guy is here with the same haircut, many years later. Who ever said they wouldn't do anything special this weekend? Sept. 29 seems like a fine time for Yefry Ramírez to throw a career-high 107 pitches, as in more pitches than he's ever thrown in his life. 6 IP, 5 H, 3 ER, 3 BB, 4 K, 2 HR. His ERA is down to 5.92. Orioles trail 3-1. John Andreoli's infield single gives the Orioles two on and one out in the bottom of the seventh. #Orioles have loaded the bases with two outs in the seventh. Tampa Jesuit grad Lance McCullers, Jr. entering the game for the #Astros . O's trail 3-1. Corban Joseph pinch hitting Wilkerson. Mullins bounces out to second. #Orioles strand two RISP, trail 3-2. The Orioles lose, 5-2. Swept in the doubleheader. Ramírez: 6 IP, 3 ER. Wynns: RBI single. They are 46-115. Only four teams have ever lost more.